I heard more recently: If you’re working harder than your students, you’re doing something wrong. For a hard-working Grade 12 teacher (next-level teaching), these words pierced my heart. After reflecting on the words, I realized that they made no sense. I don’t work hard for my students. I work hard because that’s who I am. My work defines my character. When I’m given a task, I do it to the best of my ability – not to prove anything, but because I was given a task. 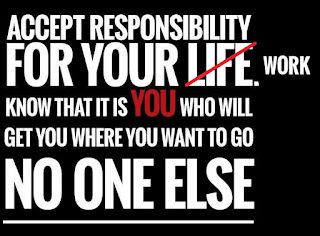 When given a task, I accept responsibility for the outcome. The students don’t motivate me. The principal doesn’t motivate me. My colleagues don’t motivate me. The work doesn’t motivate me. I motivate myself. I do what I do because I want to. If I don’t want to do a task because I have a valid reason not to do it, I speak up. If I’m given no choice, I do the task with the same motivation as any other desirable task that I’ve done before. If you’ve never heard about self-efficacy or wondered what it means, then read on. Self-efficacy is your belief in your capabilities. If you have low self-efficacy, it simply means you don’t believe you are capable of doing something. If you have high self-efficacy, you have a strong belief about your capabilities. In both cases (low and high), motivation is the vehicle that propels you forward. A hardworking teacher shouldn’t feel demotivated because he/she is working hard and the students aren’t. A student’s efforts and results shouldn’t define a hardworking teacher. It’s obvious that a hardworking teacher’s results will be better than those of a near-to-passive teacher, but, in my experience, no matter how hard I work, I’m always left disappointed with the outcome of my efforts. Why? Children aren’t motivated to learn. From a very young age, they’re motivated to be competitive. I can certainly understand why parents who were high achievers at school expect their children to excel, but I can’t wrap my head around non-achieving parents who demand so much from their children – competitively speaking. I also heard more recently: Too much time is wasted on those who do not want to learn. My response is: Why don’t they want to learn? It’s easy to shift the focus of attention to those who are doing well academically. It’s easier to work with students who are self-motivated. In the classroom, teachers provide ample feedback to diligent students whose work is exemplary and who show remarkable improvement in their skills, and they encourage them to continue striving for mastery; they structure tasks and provide material that will challenge these students to work even harder. What about the masses of students who are not self-motivated and struggle academically? Do we just leave them to swim against the rapids of information-overload – content-heavy, homework burdened and test-driven terms? They’re there, in the classroom, available to be educated, but for approximately ten weeks per term, they're in the torrent barely surfacing. When we are told to focus on the academic achievers and to leave those who do not want to work to either sink or miraculously survive, we cannot really consider this to be effective teaching and learning. If the main purpose at school is to gain as many distinctions as possible and to ensure that no-one fails Grade 12 because the province, district, circuit, school and teachers cannot afford this type of embarrassment, then obviously the focus needs to be on the cream of the crop. As if this isn't ambiguous enough, extrinsic motivation is thrown into the arena for competitive value and the best Grade 12 teacher and student in a specific learning area in a circuit/district/province are awarded with an incentive. In all the years of teaching Grade 12, I only received one certificate to congratulate me for my “outstanding results”. This certificate is supposed to make me feel proud of my "hard work". This is how we measure success. For three years, I worked zealously to help a group of learners from Grade 10 to Grade 12 to achieve their best and even those who were weak were given attention. My focus was definitely not on the top performers. Did the incentive make me keen to work even harder? I never stopped working hard, so how could I start working harder for the next group of students. I was doing what I do to the best of my ability because that’s who I am. The fact that I don't get recognition for my hard work every year doesn't make or break me. I’m back in Grade 10, picking up where I started three years ago, working hard for the results at the end of 2021. It's my third cycle of doing this. My first group was from 2013 to 2015; my second group was from 2016 to 2018. It doesn't get easier. Those who sink won’t be there. Suffice to say, I won’t be leaving any soldiers behind. Any one of these students who fail Grade 10 or 11 will be because of another subject or two. I’ve never had a fail (touch wood) and I work hard to make every learner understand our purpose. My mantra remains: Do good! Do good! Do good! Reality check: Even under the best circumstances, being purpose-driven is not easy when working in a system that doesn’t work for you. I don't have to be in the classroom, but I want to be there. I want to teach. The students don't want to be in the classroom, but they have to be there. To answer the question, ‘Is this the way forward?’, I say no! After all is said and done, and after every incentive has been handed out, the country is not better off. The percentage of “capable” students that matriculate are few. The masses in which we show little interest are “incapable” of contributing effectively to society. Since education remains the backbone of society, why are we struggling? Why aren’t we working to educate our next generation more effectively? Why are high school students so miserable about being educated? Choice: Teenagers have no say in what and how they learn. If we give teenagers the freedom to choose what they learn and how they learn, will they be motivated to learn? At school, students have little or no say in what and how they learn. Obviously, there are schools that are different and offer choices, but have you seen the school fees? In the average school, teachers find that they have to exert themselves to motivate the students to do what they don’t want to do in an environment where they don’t want to be. Teachers compliment, encourage and hand out incentives to a small percentage of students who are motivated to learn. The rest of the students are forced to be at school and they are punished when they resist or rebel against the system. They are imprisoned for twelve years and spend too much time feeling worthless and unhappy. After matric, we send them off into the world confused, scared and frustrated. The school loses a negative mind-set and society gains it. Our mistake: We never taught our children from a young age to want to learn. We can’t force-feed a child and believe he/she will be happy, can we? Effort: Teenagers need to expend effort to learn. Learning is not easy. How many teenagers do you know who are motivated to expend cognitive effort to succeed academically? How many teenagers are motivated to expend more mental effort in the classroom and employ strategies that they believe in that will help them to learn? relating new knowledge to what he/she already knows. A capable student will feel that his/her efforts are useful in a learning situation. Skill will improve and as skill improves, effort expended to perform better will decrease. There won’t be the need to study as hard or lose valuable time attending extra classes. The reality is that only a few are “capable of learning” in the classroom. Grit: Teenagers need grit to learn. Grit means to persevere and to be resilient. The time spent on a task or problem proves whether a teen is motivated to learn. A motivated student will always persist. Very few teachers and students enjoy facing problems, obstacles or challenges. While many teachers persist, the majority of students give in too easily. The minute the work becomes difficult, the courage to persist fails them. Everything in life takes time to develop. Learning is a lifelong process. Success doesn’t occur magically and failure isn’t a sin. In fact, through our own experiences in life, we discover that failure is a learning opportunity. In every situation, in every experience, we always learn something – even through making the wrong choices or failing to achieve something, we learn. Persistence is limited because of the lack of skills. 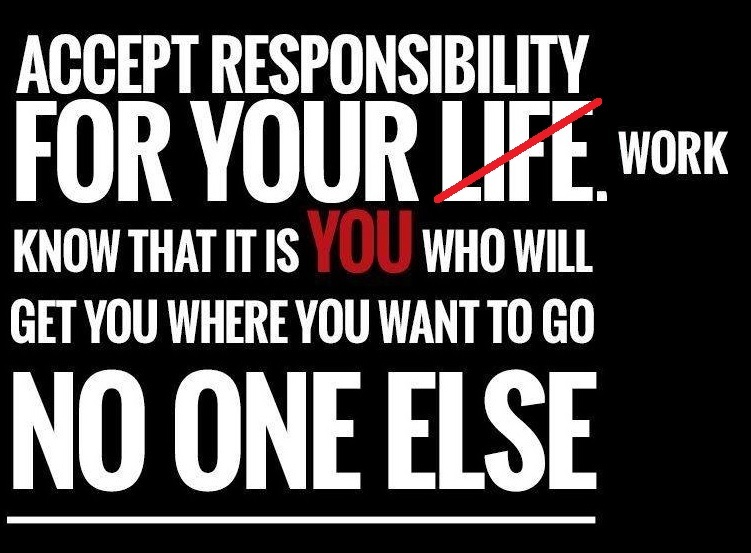 Our mistake: We never taught our children to focus on and take responsibility for their problems or setbacks. We never taught them to expend effort and persist to succeed. Instead, we teach our children to sit back and wait for someone else to step in and do what they can’t do for themselves. Every child has a natural potential for learning, curiosity about life and the world they live in, and an eagerness to learn. If we can tap their intrinsic motivation, instead of dampening it, and teach them from a very young age what the value of learning is, we will have students who accept responsibility for their own learning, and provide society with a more knowledgeable and better skilled citizen.